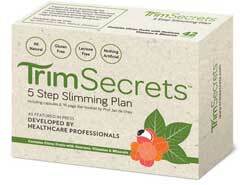 TrimSecrets is a 5-step slimming plan that consists of capsules and a booklet that provides healthy eating tips. The system was created by, award winning naturopath, Professor Jan de Vries, specifically for, Scottish entrepreneur and former model, Michelle Mone, after she sought his help to get her figure back on track. The plan worked. She lost six stones in weight and was so impressed she began marketing the system under the TrimSecrets brand name. How do the TrimSecrets Assist Weight Loss? TrimSecrets capsules contain a blend of natural ingredients chosen for their appetite suppressing or fat burning abilities. The formulation also contains some vitamins and minerals to provide dieters with extra nutritional support. That can’t be knocked. The NHS website states men need around 2,500 calories a day to maintain their weight. For women 2,000 calories should be sufficient; so any diet that provides just 1,500 calories should force the body to begin burning fat for extra energy. Such a reduced calorie intake can be hard on the body though, so a good appetite suppressant would be handy. 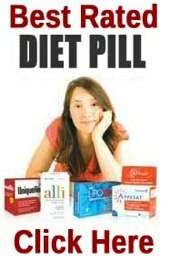 How much appetite suppression is TrimSecrets likely to provide though? Let’s have a look at the formulation. That’s rather a lot of ingredients, but where are the inclusion rates? 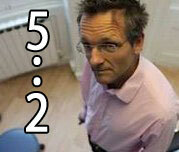 Only three are provided and one of those is for the capsule casing. It’s not possible to accurately predict what kind of power such an eclectic mix may provide, but let’s press on. Sinetrol Xpur is a proprietary blend designed to encourage fat burning. Fibersol2 is a low calorie bulking agent that is believed to work as a laxative and have an effect on glucose and insulin levels, but the reason for its inclusion here is unclear. Guarana contains high levels of caffeine that may provide energy and contribute to appetite suppression, but may also cause side effects that might include jitters, headaches and nausea. The vitamin and mineral blend may help to compensate for any nutritional lacks caused by the dieting process, but some vitamins can be toxic in high quantities so it would have been nice to see some inclusion rates. The Daily Mail, The Scottish Sun, and the Daily Record have all ran stories on Michelle Mone and TrimSecrets. The British singer and TV presenter, Chanelle Hayes, also endorses the product and has said so in several interviews with UK magazines. Comparing the pictures of Chanelle when she was obese with the pictures of her after the curves returned suggests something produced a miraculous change. The TrimSecrets website states the formulation is not likely to produce side effects, but then goes on to warn the formulation should not be used by pregnant and nursing mothers or anyone who is on medication or has any health issues. This is good advice because guarana can be problematic for some people. TrimSecrets can be purchased from the TrimSecrets website, but customers must register with the site before they can place an order. Each box contains 42 capsules and costs £14.95. This is a sufficient supply for two weeks, and first-time buyers are encouraged to buy two boxes to give the product chance to work, but no bulk buy discounts are offered. Can TrimSecrets assist weight loss? The testimonials from former users suggest the product may have merit, but it seems likely that much of the weight lost could more probably be attributed to the recommended low calorie diet, with the capsules providing a little extra support for hungry stomachs. That’s fine—if it works it works, but several other blends may offer equal or better support, often at a slightly cheaper price and in many cases full inclusion rates would be provided for the ingredients. TrimSecrets appears to be a middle of the range product that will probably do the job, if used in the recommended manner, but don’t expect any miracles without a lot of hard work. 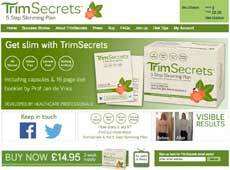 Trimsecrets doesn’t make the cut despite a well thought out marketing campaign and reasonable price point. We look at several criteria when recommending a product based on product efficacy, safety, value and also what its customer think about the product.